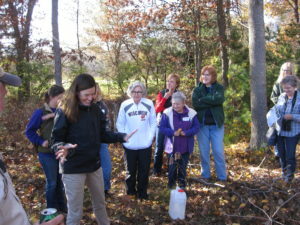 Wisconsin Woodland Owners Association group of women landowners aka The Women of WWOA, was created to offer educational activities and a supportive atmosphere for women landowners to learn more about caring for their woodlands. 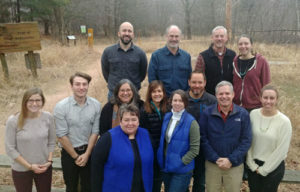 The group gathers two to three times a year to spend a day learning from each other and natural resource professionals. The next gathering will be Saturday, May 5th form 9 a.m. – 3:30 p.m. at Mueller’s Quarry Tree Farm in Arcadia, WI. Meghan Jensen, WDNR Conservation Warden in Trempealeau County will discuss her work and answer questions about woodland concerns. Afternoon sampling in erosion retention ponds with UW-Extension’s Randy Mell. Part of the day will be indoors and part outside, so dress comfortably for both. Think woods casual- jeans, boots, long sleeves, rain gear, hat, etc. $20/person includes materials, breaks and lunch. Click here to register. From the kitchen table to the boardroom table, the USDA brings people together across the nation for: healthier food, natural resources and people; a stronger agricultural industry; and economic growth, jobs and innovation. Each Friday, meet those farmers, producers and landowners through their #Fridaysonthefarm stories. Visit local farms, ranches, forests and resource areas where USDA customers and partners do right and feed everyone. Click here to read the full story about Jay and Mike Carlson, a father-son team working with NRCS in the Driftless Area to identify management goals that are helping improve the way they manage their forests and its health. 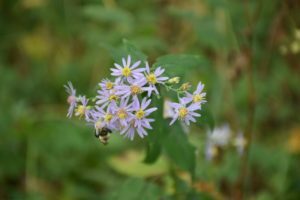 Photo: Honey bees are pollinating wildflowers on the Carlson’s property. Another productive year for WI Urban Forestry! 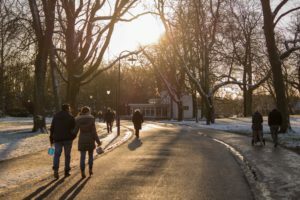 As I reflect on the last year, what stands out most for me is the great people that I work with – both staff and partners!